Last night a group of folks from the Proximity office went out to 19th Street (Chinatown) for dinner. It was the first time I’ve been able to meet up with the local Burmese employees outside the office. We had a bunch of laughs as I stumbled through my Burmese sentences. The guy closer to the camera in the striped shirt (Valentino) is on the Energy team. From left to right: Zaw Zaw Lin (Energy team), Kyaws Aya (IT), and Bob (Logistics). 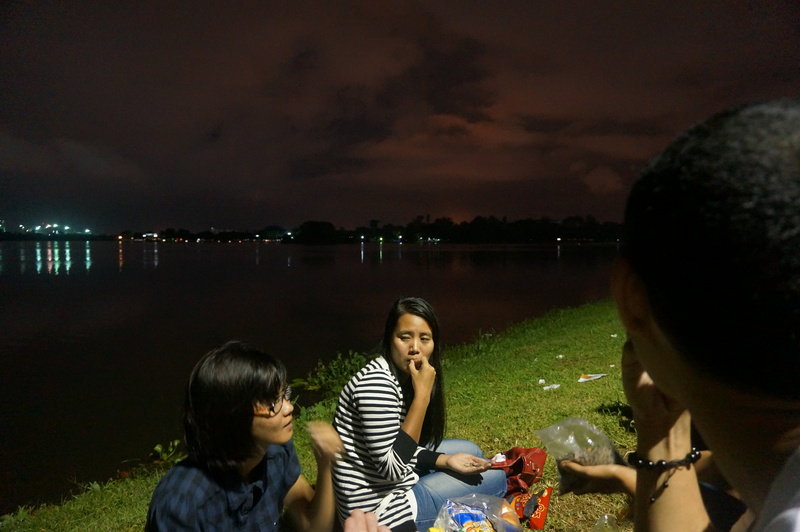 After dinner we went to Inya Lake to hang out. This was very cool for me. 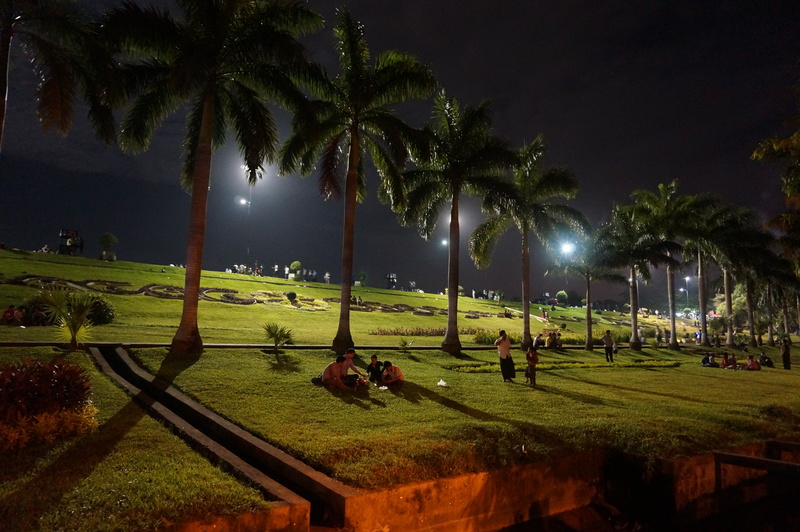 If you remember in one of my first posts, I walked along this river seeing the locals congregate and chat by the water. Just got briefly caught up on your posts, Steve! Your travels look amazing and it looks as if you’ve integrated well. Also, its great that the city looks like it has some modern amenities (esp Colgate toothpaste haha). Keeping you in our prayers and thoughts from Beantown!